Jayant Patel quits as Karnataka HC judge: Was he unhappy over transfer to Allahabad or for not being elevated? The senior-most judge of the Karnataka High Court, Jayant Patel, resigned on Monday without clearly stating the reasons for quitting. While Patel did not cite any particular reason for his resignation, reports suggest that he was unhappy about not being made the Chief Justice of Karnataka High Court and also about his transfer to Allahabad. In an interview to Bar and Bench, Patel only said that he wants to be relieved from the institution. 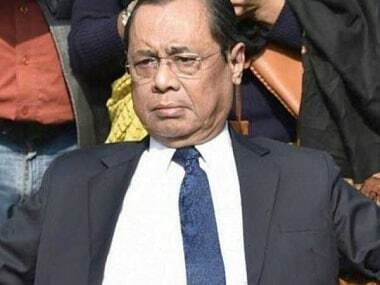 Meanwhile, his resignation has created a furore in legal circles with some advocate associations deciding to call for a strike and to file legal proceedings challenging the decision of the Collegium. The ubiquitous theory is that Patel was not keen on going to Allahabad on a transfer. While talking to NDTV, he said, "two facts are very clear....Chief Justice of India asked my comments on 22 September on my proposed transfer to Allahabad... I was not keen to go to Allahabad... So I submitted by resignation on 25 September to the President of India." He further said that there is no point in going to Allahabad because there is not much time left for his retirement. However, he refused to comment on reports of his displeasure over not being elevated, citing "institutional discipline", according to The Hindu. In Karnataka High Court, he was due for elevation as Chief Justice or Acting Chief Justice after incumbent SN Mukherjee’s retirement on 9 October but instead, he got transferred to Allahabad High Court. Meanwhile, this wasn't the first time that Patel had been tranferred just before he was due for a promotion. Earlier too, the Gujarat High Court Bar had raised the issue of non-appointment of Patel as chief justice of Gujarat High Court and had written a letter to the Collegium regarding vacancies in high courts. This was when he was transferred as a judge in the Karnataka High Court after being an acting Chief Justice. It is instructive to note here that Patel was the judge who had ordered a CBI probe in the fake encounter case of Ishrat Jahan, while he was posted at the Gujarat High Court. Senior advocate Yatin Oza also mentioned that Patel seems to be paying a price for directing a CBI investigation in the Ishrat Jahan case. "During the (Ishrat Jahan) encounter cases, (former) Chief Justice Mukhopadhaya had assigned all the matters to Patel. There are people who are critics of Patel, but none of his critics can say that he is a judge who will compromise his honesty and integrity. They wanted Patel to act according to their wishes. But he is one judge who will never, ever ditch the Constitution," he said in an interview with Bar and Bench. 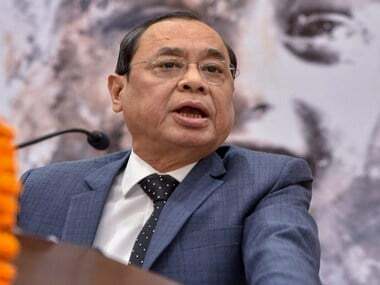 Following the resignation, the Gujarat High Court Advocates' Association decided to go on a strike on Wednesday and file a petition in the Supreme Court challenging Patel's transfer just before his elevation as the chief justice of Karnataka High Court, The Times of India reported. The associated also passed a resolution stating, "The decision of the Collegiums of the Supreme Court of transferring Justice Jayant Patel, senior-most judge of the Karnataka High Court, on the eve of his likely appointment as acting chief justice or Chief Justice of that court, to Allahabad High Court has shaken the belief of the Bar in the independence of the judiciary and has the potential of adversely affecting the morale of the legal fraternity and the judiciary. The association strongly condemns the aforesaid decision of the Collegiums of Supreme Court." The Karnataka State Bar Council (KSBC) and the Advocates Association of Bengaluru also condemned Patel's transfer. 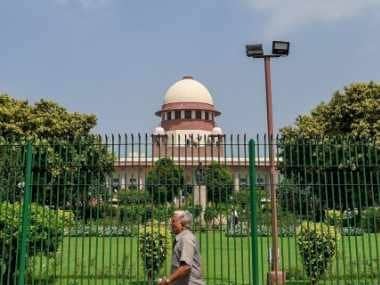 Legal circles had expected Patel to be elevated to the Supreme Court if he was not elevated as the chief justice because the apex court has no representation from Gujarat since Justice AR Dave demitted office, according to The Economic Times. According to a The Wire report, by resigning, Patel is perhaps telling us that the independence of the judiciary may indeed be a farce. The report further says that Patel felt compelled to quit because his transfer seemed to have been ordered in order to forestall his possible elevation. 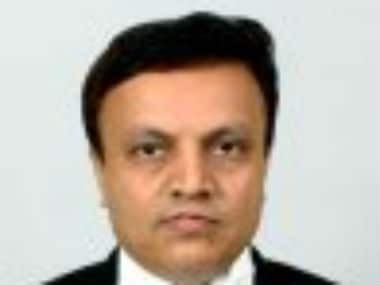 1Jayant Patel quits as Karnataka HC judge: Was he unhappy over transfer to Allahabad or for not being elevated?